With Christmas just around the corner and all the shops starting to spruce up the windows and decorate the shelves, my thoughts are turning to ways we can all be a little more charitable this Christmas. Children especially can get really caught up in the excitement of Christmas (well we all can really!) but I think people can get wrapped up in the element of buying lavish gifts for loved ones and somehow forget those less fortunate. There are ways that we can be a little more charitable this Christmas period and some of these tips (gathered by lots of lovely blogging friends) are so simple and yet can make a huge difference to those around us. You don’t have to spend lots of money to be charitable, sometimes you can just swap what you are buying and make a difference without even realising it! Did you know that at Card Factory, for every 20 pack of charity Christmas cards you buy, 20p will be sent straight to the Card Factory Foundation. All the money collected is split further between three worthy charities: Alzheimer’s Society, British Heart Foundation and NSPCC. 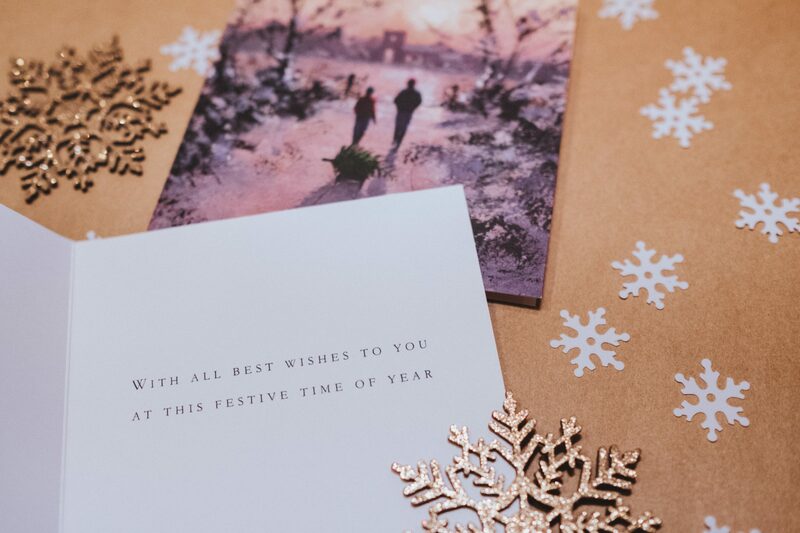 So make sure any Christmas Cards you plan to send this year are helping fantastic causes and choose Charity! I spoke to a few other fellow bloggers to see what they do to spread a little Christmas cheer whilst being charitable and here are some top suggestions. Lianne suggests you make up a hamper with something little every week from food shopping for example, a jar of pickles , mince pies etc and then give to an elderly neighbour for Christmas. A really simple one which is also free to do comes from Louise. She suggests you have a big clear out of old toys and take them to the charity shop. Something that your children no longer play with might be the absolute dream present for another child and also helps charity at the same time. Why not give to your local hospital? Geraldine says hospitals are always looking for toys (decent toys) to bring cheer to their patients. Or you could knock on elderly neighbours doors asking what they needed from the shops, she didn’t realise as a child but now Geraldine understands the importance of helping the elderly. They would, as children, often sit in and have a cuppa and a chat before setting off with a list. A lovely idea to help the homeless comes from Karina Davies. Take part in your local rucksack project for the homeless and fill a rucksack with items like a hat, scarf, gloves, warm socks, toothbrush and toothpaste, sanitary products, warm sweater & some treats. There are quite a lot of these schemes across the UK where you can donate to. Laura believes volunteering with a local charity can make a difference. Lots of charities have opportunities to help out with selling real Christmas trees, or sorting food at a local foodbank or even packing toys/clothes for children. Debbie usually finds out what her local food bank needs and takes along these items to help people in your community. Cheryl has a very good point here too. 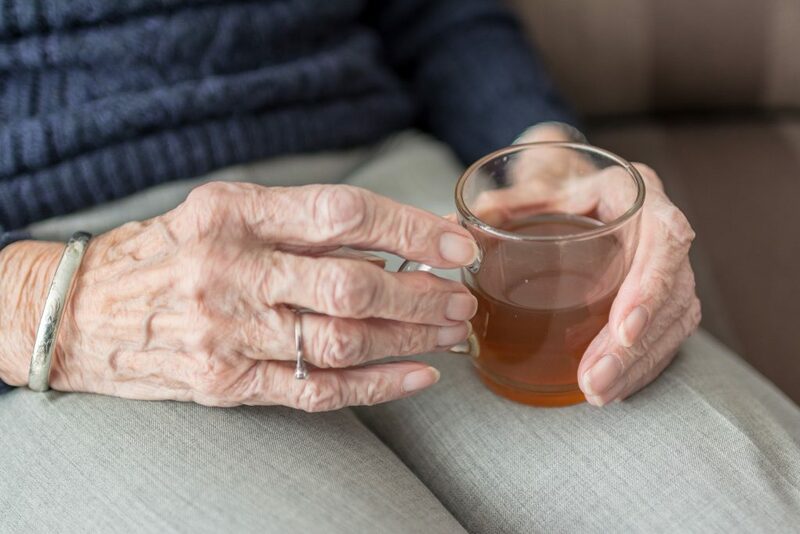 Sometimes all someone needs at Christmas is someone to show they care whether it’s making them something or going for a chat so many elderly people sit alone at Christmas so to knock on their door offer a chat or a cup of tea could make all the difference. So here’s a little list of just some of the ways you can help be a little more charitable this Christmas. 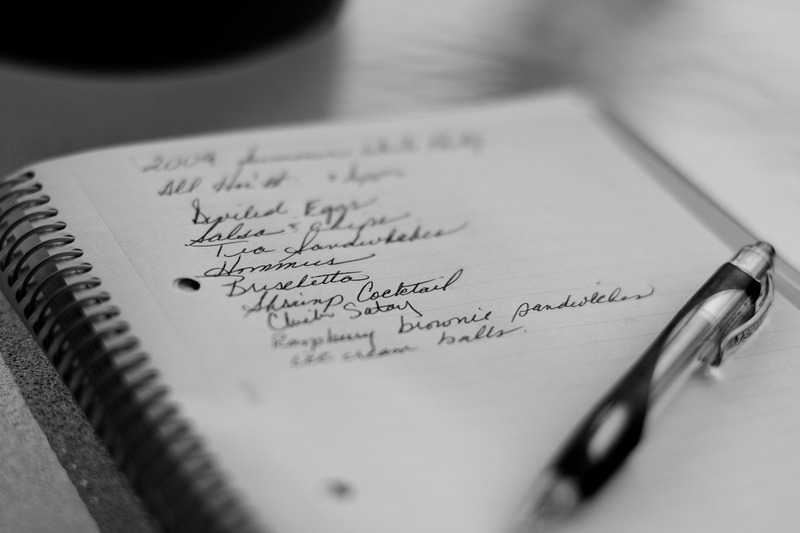 Do you have any other great ideas we haven’t listed? I’d love to hear your thoughts too.